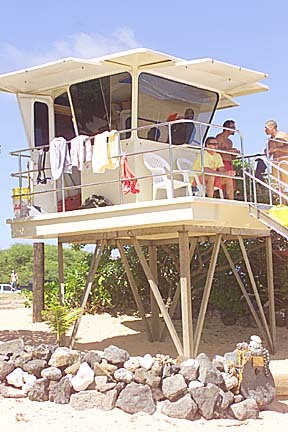 The city has started replacing the aging orange lifeguard towers around Oahu. The new towers cost about $50,000 each, including installation. They have already been installed at Sandy Beach, above, Hanauma Bay and parts of the North Shore. Towers will be installed at Ala Moana Beach, the last Oahu beach to be upgraded, in five years.